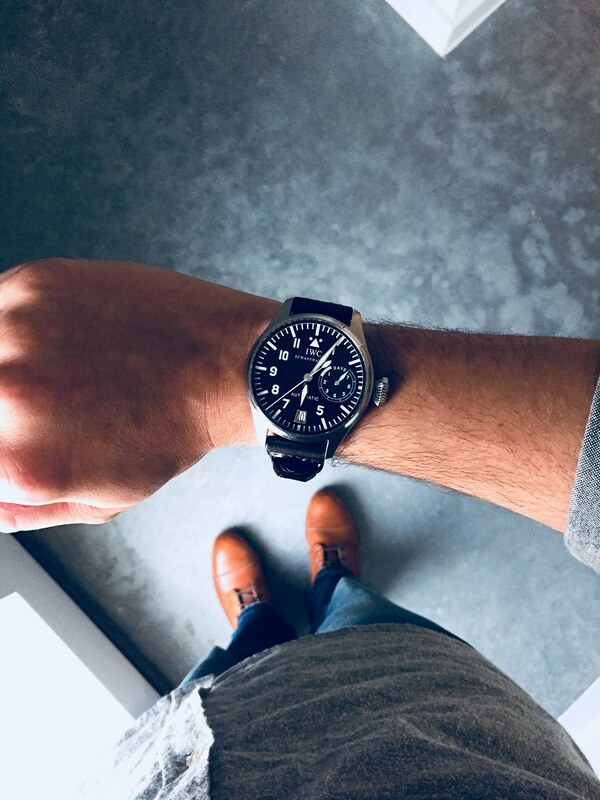 TimeZone : IWC » Finally...a Big Pilot! Hi all. Long time IWC admirer, first time owner/poster here. I'm feeling compelled to share my latest acquisition! It's a 5002 slow beat movement w/ fish crown still intact. After years of Rolex and Panerai collecting/trading/flipping, etc. I am thrilled to finally branch out and own an IWC, not to mention one that I feel really exemplifies many of the brand's best aspects. Next Topic: Finally an IWC after a long hiatus without one!